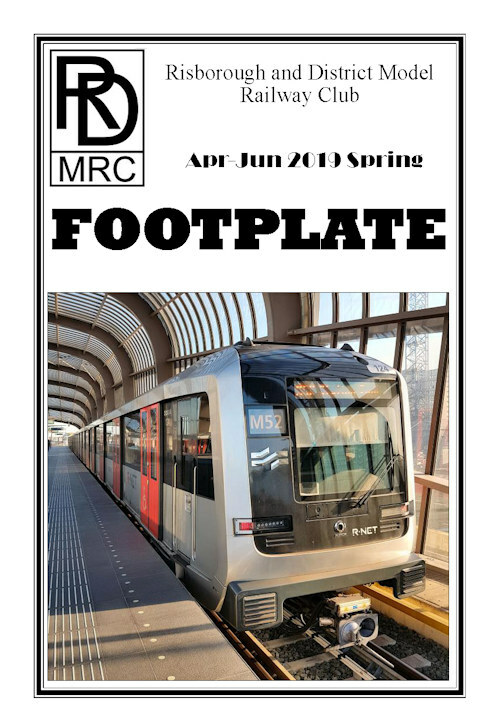 Footplate is our quarterly magazine, containing, what happening in the club, what projects members are involved in both in the club and at home, plus other hints and tips. Below is the cover from our latest being the Spring 2019 issue, in this issue is Atchison Topeka & Santa Fe 2926 by Neil M, Making laser cut card kits by Paul W, What is DecoderPro? by Mick M, Quick Trees by Tim P, Risex 2019 Exhibition Report by Adrian, RAILEX 2019 Exhibition by Ant, Club Diary, Product Reviews and much more.